No images of Green Earth Electrical Installations. Green Earth Electrical are third generation local Geelong electricians and are 100% family owned and operated. We offer a complete package of electrical services for commercial, domestic & industrial clients and offer a holistic approach to assist all our clients in reducing energy consumption. 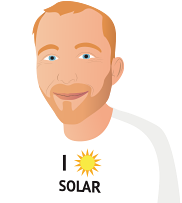 Our solar systems are tailored specifically to your individual circumstances and are fully monitored. Our team is dedicated to providing old fashion service and up to date advice on technologies that help maintain a healthy earth and budget.